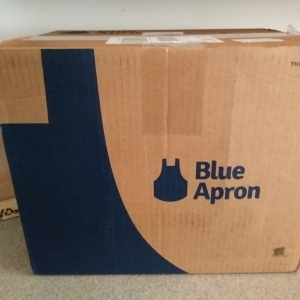 My first Blue Apron Meal Kit box arrived, and I was excited to unbox it. There were both pros and cons about this box. 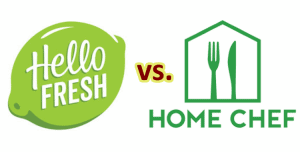 Which is the better meal kit service, HelloFresh or Home Chef? After a few months of trying both, there is a clear winner for our family. 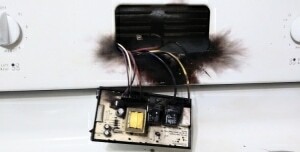 My superhuman chef powers caused my oven to explode. I might need to scale back my abilities. 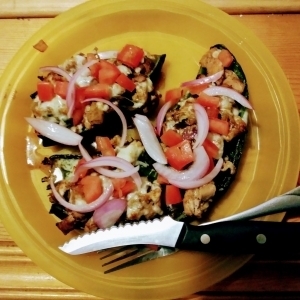 Pretty good flavors mixed well together, and this jerk chicken poblano meal was a nice change of pace for us. 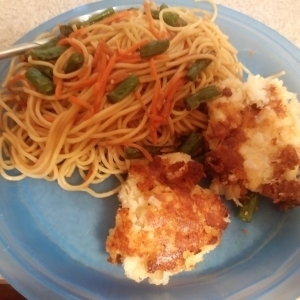 Mostly disappointing, although the cod cakes would be pretty good if they were made for sandwiches instead. Disappointing even though the shrimp was fantastic and prep and cleanup were a breeze. 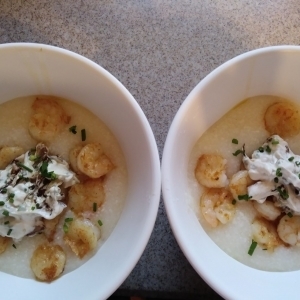 But the blandness of the grits brought it all down a notch, plus the portion was just too small. 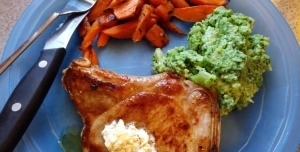 While we liked the maple butter on the chops, the meal fell flat otherwise. 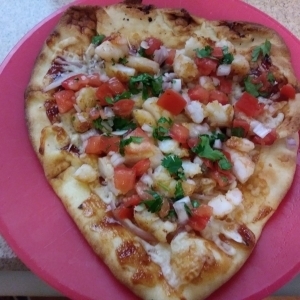 Hours later, I’m still digging on how good this BBQ Shrimp Pizza was. 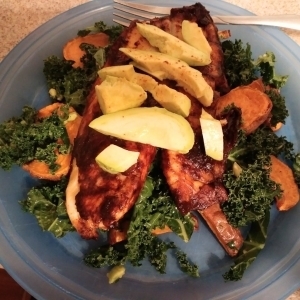 I want to eat this often!